BOPP cigarette tobacco packaging film was one of the most important series for BOPP film,whichfestures high-class quality,high transparency, low haze and low static electricity,superior low temperature heat sealability and high stiffness,transparency as well as slipping. 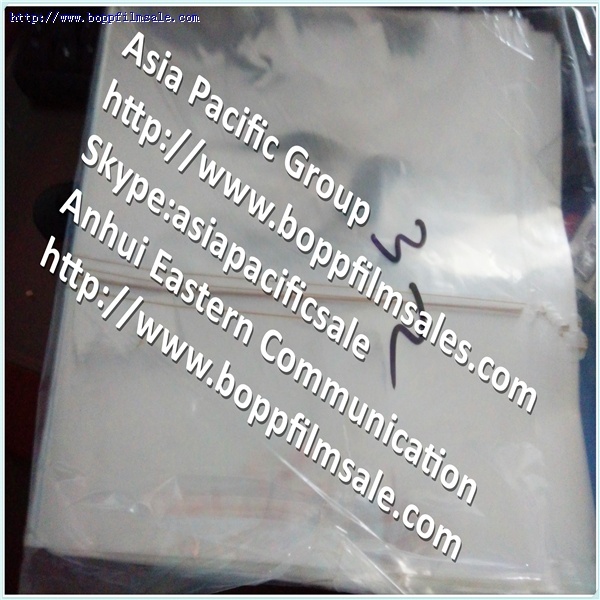 1.Plain BOPP Cigarette Film with heat sealable matches slow/plain-speed packaging machines. 2.Half-shrinkage BOPP Cigarette Film with heat sealable matches high-speed packaging machines. 3.High-shrinkage BOPP Cigarette Film with heat sealable matches high-speed packaging machines. They are featuring high transparency, low haze and low static electricity. BOPP cigarette films designed for the various kinds of cigarette packaging machine, and it is used for the cigarette hard/soft unit packs or long packs which loading 10-boxes.